These few words are offered to help people in general to have a better understanding of what Orthodox liturgical practices are supposed to convey and why. In particular, comments are directed towards Orthodox cantors, singers and choir directors to help guide them in accurately fulfilling their roles in Divine Services and to resist the contemporary spread of innovative liturgical practices that undermine the fullness of what Orthodox Worship should be all about. 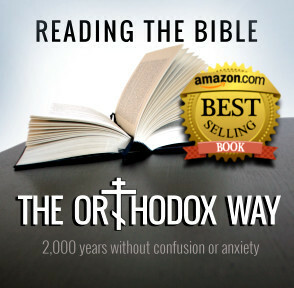 As soon as we step into an Orthodox church, we are stepping into another world — another realm. We are stepping out of our everyday world, into the eternal world — and we have the opportunity to experience a foretaste of God’s heavenly Kingdom. The architecture of an Orthodox church, its icons and the way in which its Divine Services are conducted should all convey the reality of this other heavenly realm and help us to participate in it and experience it. In an Orthodox church building, with its icons and Divine Services, we are standing in two worlds, with one foot in the temporal world and one foot in the eternal world. We are given the opportunity to transcend the sense of time of our daily lives in the temporal world, and to encounter the transfigured and redeemed time of the Heavenly Kingdom. In English, we are somewhat restricted in talking and thinking about time, partly due to the general lack of adequate words to express transcendent experience, and partly because we have just one word for ‘time’ — which generally refers to chronological, calendar time as measured by a clock. However, in the Greek language, with its inherent thought-patterns, the language in which the New Testament was written and the Eastern Fathers thought and wrote, there are two words for time. “Chronos” (as in ‘chronological’) is the Greek word for the earthly, temporal, measurable, clock time where we live our everyday lives. “Chronos” time and space are chief characteristics of God’s created world and therefore are not bad in themselves, but are to be redeemed, along with everything else in the fallen world. “Kairos” time is also the “fullness of time,” when the Eternal breaks into and penetrates our fallen earthly existence, transfiguring it and us, wherein we are granted the gift to temporarily catch a glimpse of standing in the Presence of God. This is the realm of what might be called “religious experience”—or having a “personal experience” of God; it is the present moment of repentance and conversion . We have stepped into “Kairos” time when we are “caught up” and don’t even notice the passage of “chronos” time. “Kairos” is the transcendent time into which we are invited to enter and to experience in Orthodox Divine worship—the Divine time of this other world, this other realm. This is the “redeemed time” into which we are invited to enter when we step into an authentic Orthodox church temple. This is the “redeemed time” that we can experience in authentic Orthodox icons. This is the “redeemed time” in which we can participate during authentically-rendered Orthodox Divine Services. The degree to which the architecture, icons and liturgy can enable us to temporarily transcend this fallen temporal world and have a foretaste of heavenly worship in God’s Presence can vary enormously, but the extent to which the earthly worship reflects the heavenly worship is the most important. When the Divine Services are sung and chanted and prayed in a way that reflects heavenly worship, then even a mediocre physical church building, with mediocre icons, (or even when served in a hospital, nursing home, prison, home, or other setting outside a church building), can be transformed temporarily into the eternal Kingdom and where those present are invited to participate in the continuous worship of heaven. This is a totally awesome gift that we are offered! Sometimes people can intuitively experience this sense of transcendence of time, space and place—the transcending of the temporal, everyday life of the ‘world’— without knowing just how to express in words the experience of standing with one foot in heaven and one foot on the earth. But on the other hand, sometimes the opposite might occur, for it is also very easy—and an enormous temptation that must be rigorously resisted—to bring the experiences of our daily, temporal life in the fallen world into the life of the Church and its Divine Services. We also can be tempted to bring with us the experience of both secular and heterodox music. Usually we do this without even being aware of what we are doing, because it is a unconscious expression of how we have been socialized in our lives in the culture around us. Let us reflect a bit about what this means in practice, to help us recognize it when it occurs. But this is a very difficult and life-long struggle, and is totally contradictory to everything that the culture around us teaches. But what exactly does it mean to be in the world but not of the world? One concise explanation of what this phrase means is that while we live our daily lives in the physical world around us, our values and priorities must be focused on God’s values and His priorities. That is—our hearts are to be committed to acquiring the treasures of God’s spiritual riches over all temporal, earthly wealth and power, and what the ‘world’ considers to be important. Participating in the “kairos” experience of Eternity in Orthodox worship can be a significant component of helping us not to be a part of the fallen world, while yet living in it. Our encounter with the Church, and its icons and liturgy is supposed to lift us up out of this world, and transport us temporarily into the heavenly, eternal realm, where the worship of God is continuous. But in order to have the opportunity for this to occur, we have to cooperate with the Lord in achieving this goal in a number of ways: in the way in which we design our Orthodox churches; in the way in which we paint our Orthodox icons; and most importantly, in the way in which we sing and chant the Divine Services. We must cooperate with God and have authentic Orthodox church architecture, authentic Orthodox icons, and authentic Orthodox Divine Services— authentic, precisely because they accurately reflect Orthodox Theology and Tradition. The meaning of these words is truly awesome and even mind-boggling—that we sinful and inadequate and frail human beings, are allowed to represent the cherubim, who are the angels, second in rank to the seraphim, who worship God continually before His Holy Throne and Altar. The concept of earthly worship reflecting heavenly worship does not start with Christianity, but is received by Orthodox Christians from the Old Testament Jewish Tradition. God instructed Moses to create a Tabernacle modeled on the heavenly Tabernacle, and gave careful detailed instructions about how to make the Tabernacle, and how to do the liturgical rites to be performed in the Tabernacle, which are also modeled on those of heavenly worship. The Tabernacle of Moses, and its successor, the Temple in Jerusalem, are explicitly described by God to Moses as a correspondence between the invisible heavenly prototype and its visible counterpart on earth. The Church, which is the New Jerusalem and an image of God’s Heavenly Jerusalem, continues the Old Testament concept of the correspondence between the earthly temple and worship and their heavenly prototypes. In the New Testament, there are various descriptions of heavenly worship, especially in the Epistle to the Hebrews and in the Apocalypse or Revelation of St. John. This correspondence between the invisible heavenly prototype and the visible earthly expression is a vital characteristic of Christian architecture and worship from the earliest Christian centuries, and is a fundamental principle of Orthodox liturgical theology. Since our primary focus here is on liturgical practice, we will only very briefly cite a few examples of how this fundamental principle is expressed in Orthodox architecture and iconography. 1) Not sharply cutting off at the ends of phrases. 2) In general, singing and chanting “legato” (smoothly) and holding out the last syllable. 3) Overlapping between the singers, cantors, priests and deacons. 4) Not having “empty spaces,” where the singers or chanters stop before the next liturgical action starts, and there are silent “holes” in what should be the continuous flow of worship. (5) Singing and chanting at an appropriate tempo that is neither too fast nor too slow, and at a volume that is neither shouting nor inaudible, (as is appropriate to what is being sung or chanted, the acoustics of the church, and size of the choir, etc.). Racing through hymns and responses and shouting at full-volume reflect the rat-race of our temporal world, not the peace of the heavenly realm. (6) The texts and their theology are of primary importance to Orthodox liturgical practice, and basically “drive” the music. Therefore the words must be pronounced carefully with great attention to diction, so the words are understandable. If the tempo is too fast, clear diction disappears, and there are simply sounds, not words. Much of our magnificent Orthodox theology is contained in the beautiful poetry of the hymns of the Divine Services, which is lost if not sung and chanted in an understandable way (and of course, in an understandable language). 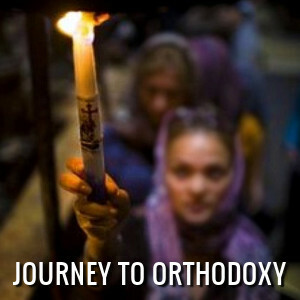 When we fail to adhere to these basic elements of the liturgical practice of Orthodox Divine Worship, and allow our secular and worldly practices and mentality to creep in, we basically are participating in what can be called a modern-day heresy that gradually undermines and erodes the fundamental principle of liturgical theology, namely, that what we do in our Divine Services is a reflection of, and corresponds to, continuous heavenly Divine Worship. 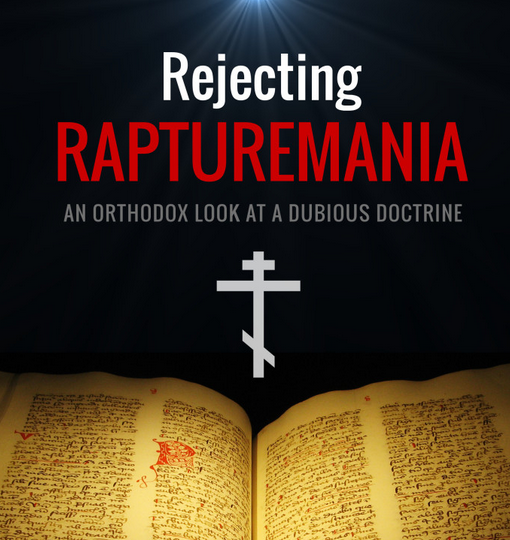 It is vital that we recognize this growing, insidious “heresy” for what it is and avoid it, and not protest against and reject our centuries of authentic Orthodox Tradition. Since it is natural for us Orthodox to be influenced by our surrounding Protestant and secular culture, we might point out here that the very concept of earthly worship as corresponding to heavenly worship is totally absent in Protestantism. As a result, what is called “worship” easily becomes individualistic, self-centered and worldly, instead of God-centered—“what do I get out of it?” rather than, “how can I worship God more fully and more continuously?” What should be worship, then easily becomes “entertainment,” especially in the music dimension of church services, so that people will “enjoy” themselves. What are some practical ways in which we can maintain our authentic Orthodox Liturgical Tradition and practice, and avoid the above-described creeping, insidious American “heresy”? Here are just a few examples, intended primarily for choirs and chanters, which is usually where the worldly practices sneak in. (1) From the Western worldly perspective, no one should speak until the previous person has finished. For more than one person to speak at the same time is either rude, or hostile, as in arguing, and not considered “good order.” In Western Protestant and Roman Catholic liturgical practice, for example, it is virtually impossible to get a choir or minister/priest to sing/say their next part until the other one completely stops. In authentic Orthodox liturgical practice, however, in most cases, the choir, cantor, priest or deacon definitely should not stop until what comes next has started, especially in short back-and-forth exchanges, such as the Prokeimenon, etc. In Litanies/Ektenias, the choir’s responses of “Lord have mercy” etc., should be smooth and legato and not hurried or staccato, and definitely not abruptly cut off — in order to adequately convey the sense of the transfigured and non-hurried time of continuous heavenly worship. (2) The struggle between worldly time versus redeemed time is perhaps nowhere more obvious than in the tempo at which the Divine Services are sung and chanted. Certainly, there are acceptable variations in tempos between parishes, priests, deacons, choir directors and chanters, and there is not just one way that is “correct.” But let us suggest a few basic principles that can be used as guidelines in singing and chanting to help our worship adequately convey the reality of standing in two worlds at once, and reflect on earth the continuous heavenly Divine Worship that is on-going before God’s Throne, in which we are called to participate, and to more fully experience the Eternal and Divine Presence in Orthodox Divine Worship, and to resist the temptation of singing everything “fast/faster/fastest” (similar to “loud/louder/loudest”). (a) Some hymns should be sung faster or slower, determined by the words, the place in the Divine Service, the content or character of the Service, and the liturgical feast or season of the year—in general, more briskly for major joyful feasts, or services such as Weddings, more slowly during penitential seasons. Pascha Matins and Vespers, for example, should be brisk. At the Epiclesis, during which we sing: “We Praise Thee. We bless Thee. We give thanks unto Thee, O Lord. And we pray unto Thee, O our God.” — this should always be sung slowly and reverently, and never to be rushed through, even if one is in a parish where the priest says the silent priestly prayers out-loud for the congregation to hear, after the choir finishes singing this hymn. (b) Generally, no Service and no hymn or response should be sung so fast that it is like a race with a stop-watch to see how fast one can get through it. The contemporary American liturgical-practice “heresy” especially rears its ugly head in this regard not only in Panikhidas and all Services in general, but most especially in the singing of the responses in Litanies, which are increasingly rendered in rapid, staccato syllables, abruptly severed at the end. And, to cite another specific example, there is a spreading tendency to sing the magnificent Vespers hymn, “O Gladsome Light,” (especially the frequently-sung Dvoretsky setting) in a way that reflects the rat-race of the world and our everyday lives, instead of providing a glimpse into heavenly Light and eternal Glory. At the same time, of course, it is desirable to avoid singing hymns so inappropriately slowly that one might feel like dozing in between notes or syllables. (c) Sometimes choir directors and singers think that in order to have energy in one’s singing it must be loud and fast, and that softer or slower equals lack of energy. This is not true. 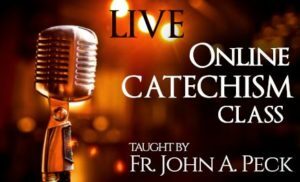 Trained vocal production, infused with a sincere spiritual understanding and concentration, can produce even greater energy and vitality in softer or slower hymns or phrases. On the other hand, singing inappropriately loudly can sound like an irreverent shouting match of ‘loud, louder and loudest,’ and singing too quickly can be devoid of energy and reverence, and can appear to be a race to see how fast one can “get through the service,” and go home. (d) It is important to remember that singers and chanters are blessed with the extremely important role of leading the congregation in prayer and worship, and should receive proper training in order to fulfill their roles in the best way possible. The singing and chanting must be done in a manner that is understandable, audible and intelligible to the people, and an offering of praise to God, whether one or one hundred people are present, and always to be rendered in the most prayerful and reverent way possible. The chanter must never mumble unintelligibly as though to himself, but always keep in mind that he or she is praying before the throne of God. Nothing should be rushed; diction must be very distinct (especially final consonants, d’s and t’s in particular), with the words read accurately and meaningfully, and with pauses in the proper places so that the listener can understand and comprehend what is being chanted or sung. 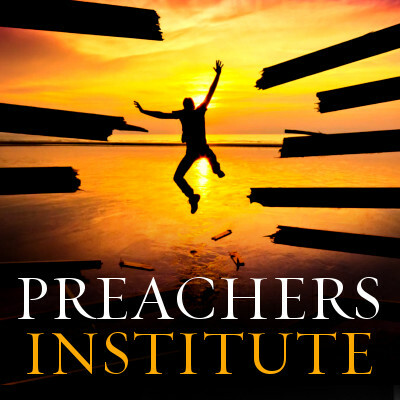 It is easy to give in to the temptation of racing through familiar prayers, especially the Trisagion (Holy God) Prayers that are so familiar; but then instead of praying the words, one simply mouths empty sounds, whose meaning is diminished and minimized for both the listener and the chanter. The chanter and singer should make every effort to chant and sing every prayer and Service (such as the Panikhida), no matter how familiar, as though it were for the first time. Similar as in singing, there are a variety of styles or ways of chanting that the same person might use at different times, according to what the texts are or their liturgical use. For example, the Psalms are chanted one way, major hymns another, the Epistle in yet another way, and the Holy Saturday Matins Prophecy of Ezekiel in a completely distinctive way. (3) As we already said, for Protestants and Roman Catholics (and of course, in secular music performance) there is no concept whatsoever of earthly worship corresponding to continuous, unending heavenly worship. As a natural consequence of this attitude, having “down-time” or “quiet-time” in church services is regarded as perfectly acceptable. The concept and practice of having “a moment of silence” to pray privately or to honor the departed is common, and this is perfectly acceptable in secular and heterodox settings. On the other hand, it is absolutely not acceptable in public Orthodox worship, and any “empty spaces” should be strictly avoided, because it disrupts the continuity and flow that should characterize Orthodox Divine worship. How can this concept be implemented in our own parishes? Here are a few practical suggestions. (a) Singers should have the next thing to be sung or chanted ready immediately after the previous hymn is completed, so the choir director can give the pitches immediately, sometimes even before the priest/deacon or cantor has finished. (b) Singers should learn the order of Divine Services, and pay attention to what is happening in the Service and always know what comes next and where it is. (i) when the choir is singing during the censing of the church/temple, such as during Psalm 104/103 at the beginning of Great Vespers, during the Magnification in Matins, or other time. The tempo of the singing must be adjusted to accommodate the size of the temple and how long it takes the priest or deacon to cense all around it, and might require a repetition of part of the hymn. (iii) A further place that has to be closely watched is at the end of the Cherubic Hymn, after the Great Entrance. Frequently the musical setting is short, and doesn’t “cover” the liturgical action if sung too fast. The priest has considerable liturgical action to do at this time—placing the Holy Gifts on the altar, holding the aer (large veil) around the censor and placing it over the Holy Gifts, and then censing the Holy Gifts, before he can begin the Litany of Supplication. If there is a deacon, he is holding the censor, and cannot come out to do the Litany until the censing is completed. Therefore the choir director must carefully watch what is happening at the altar at this point and conduct appropriately, usually by singing more slowly and “stretching out” the Alleluias, to avoid the disruption of the continuous liturgical flow of Divine Service by having an empty hole. (iv) An additional place in the Divine Liturgy where there must be close coordination between the priest and choir, is during the Anaphora. There are considerable local variations in liturgical practice during the Anaphora but the basic principles of not being in a rush and not having empty holes should be maintained in accommodating the local practices and coordinating with the priest in charge. In conclusion, we hope that these few words have been helpful in understanding why things are done in certain ways in Orthodox liturgical practice, and therefore to understand why it is so necessary to guard against the temptations to change Traditional liturgical practice (changes that at first might be barely perceptible), in order for it to conform more with what we experience around us in our everyday lives — that is, that it conforms more with the values and practices of the secular, temporal world, rather than reflecting and corresponding to Divine Reality and the opportunity to participate in the experience of standing in the Presence of the Eternal God in Orthodox Divine Worship.